Public Health Minister Steve Brine said the government was "willing to do whatever it takes to keep children healthy and well in this country". Image used for representational purpose only for pizzas. LONDON: Pizzas in the UK must shrink or lose their toppings under the government's newly proposed "calorie caps" on thousands of popular foods sold in restaurants and supermarkets to tackle the growing obesity crisis, a media report said Friday. 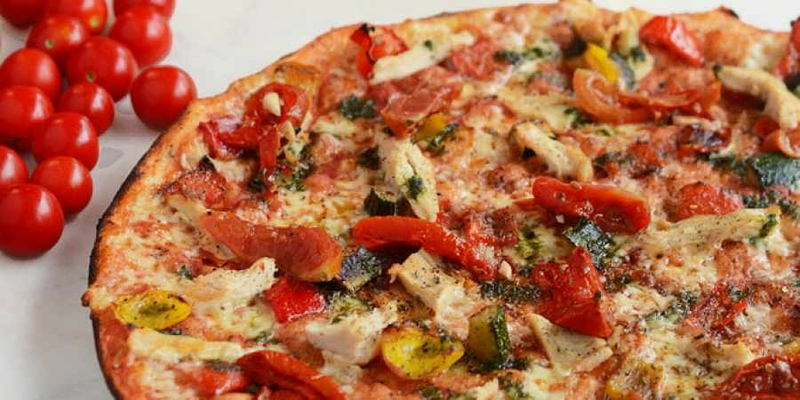 According to the draft proposals, a standard pizza should not contain more than 928 calories, far less than what is sold by takeaways, restaurants and shops, and a savoury pie should have no more than 695 calories. Pies, ready meals and sandwiches will also be subject to the new proposed calorie limits, in a desperate bid to tackle Britain's obesity crisis, The Telegraph reported. Public Health England (PHE) said "drastic" measures were needed to combat Britain's obesity crisis, it said. The move comes as new figures show rates of severe obesity among children have risen by more than a third in just over a decade. More than one in five pupils are obese by the time they leave primary school - including around 24,000 children who are classed as "severely obese", the report said. Alison Tedstone, PHE chief nutritionist, said the threat to children's health had been "decades in the making". "It could mean less meat on a pizza, it could mean less cheese, it could mean a smaller size. Consumers are saying they want smaller portions and healthier options," Tedstone said. "We know that just having healthy options on the menu won't change the nation's habits - we need the default option to have fewer calories. The default options for pizzas are margherita and pepperoni pizzas, so we need them to get healthier," she said. Earlier this week, officials met with retailers, manufacturers to discuss proposed "calorie caps" on thousands of popular foods. They follow the government plan to halve rates of childhood obesity by 2030. Eustace de Souza, national lead for children at the PHE, said firm measures were needed to tackle Britain's growing obesity problem. New statistics from a national programme to weigh and measure children show that 20.1 per cent of pupils leaving primary school are obese and 4.2 per cent of children leaving primary school classed as "severely obese". De Souza said the trends were "disappointing".